The Polka Dot plant's name will pretty much tell you what this little dish garden plant is all about. Originally Polka Dots were known for the bright pink spots which covered their dark green foliage. Now you can also find hybrid Polka Dots with bright red, white or silver spots and blotches. The Polka Dot has long been known as somewhat of a novelty type house plant primarily used in dish gardens. Today, Polka Dot plants are gaining widespread popularity for use as an annual plant in the garden where they are certain to brighten and cheer up the borders or any part of your garden. 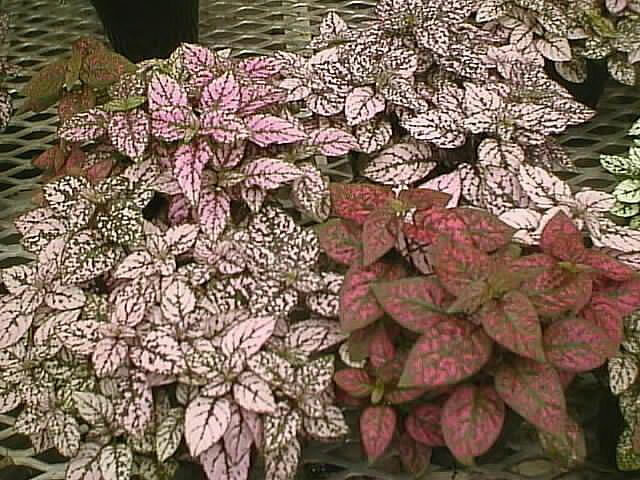 Polka Dot plants are only hardy in USDA zones 10-12. 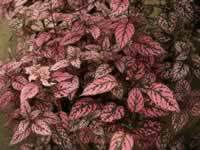 The Polka Dot plant, Hypoestes phyllostachya, needs bright light but not full sun. Polka Dots grow best in a humid environment, so occasional misting is helpful for the lushest foliage. 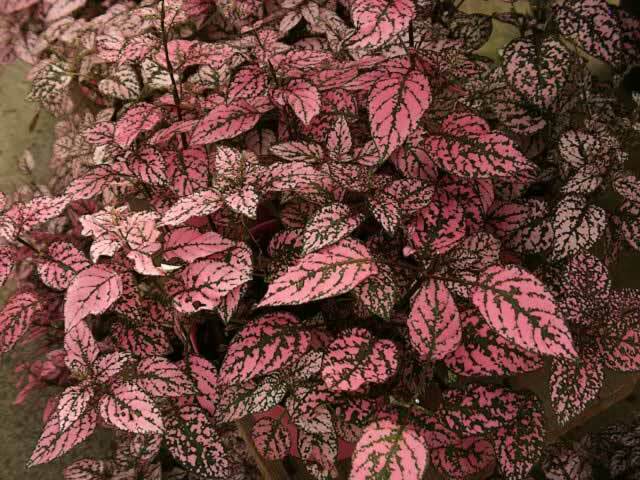 Polka Dot plants are sensitive to chemicals so it is a good idea to water this plant with rainwater or tap water which has been allowed to set for 24 hours so that chlorine and other chemicals can dissipate from it. The soil should be kept slightly moist. Polka Dots tend to get leggy with age, so keep it pinched back to no taller than about 16 inches. These plants won't be harmed at all if you feel the need to cut them back hard. When your plant starts showing signs of new growth, feed it once with a weak, ¼ strength solution of a liquid houseplant fertilizer. 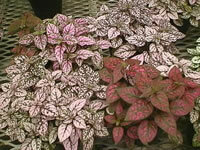 When it becomes necessary, Polka Dot plants should be repotted in the spring using a good commercial potting mix. Polka Dot plants can easily propagated with softwood tip cuttings to create new plants. Seeds can be sown indoors at any time for use as house plants. Maintain a temperature within the growing medium of 70°-75° until germination, which takes 10-12 days. Plant Polka Dot seeds 12" apart in sun or light shade, in the garden in early spring.